Hey everyone! About two months ago, Ms. Maggie of KKCenterHK sent me an email asking if I wanted to try their products. I checked their website to familiarize myself with their products and found that the prices are quite affordable. 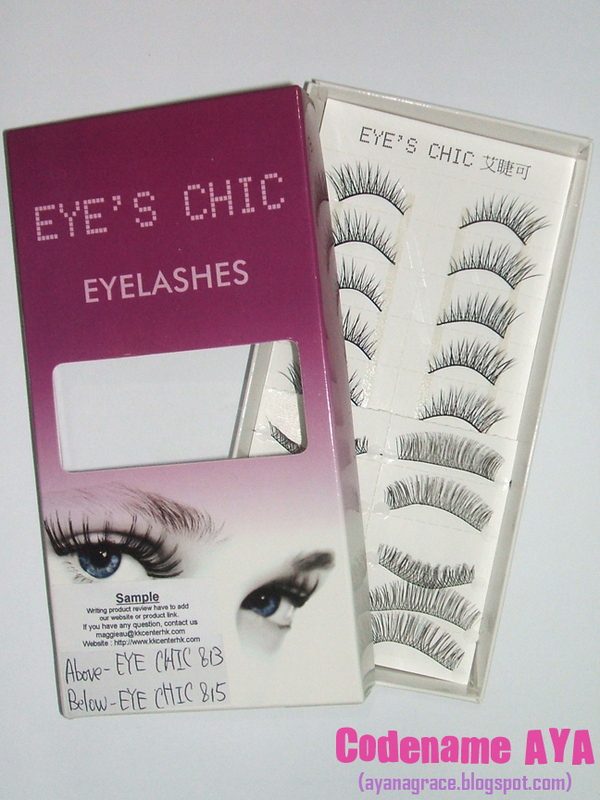 A box of lashes containing 10 pairs, for example, costs $13.45 (~612 Php), so that's approximately 61 Php for one pair. 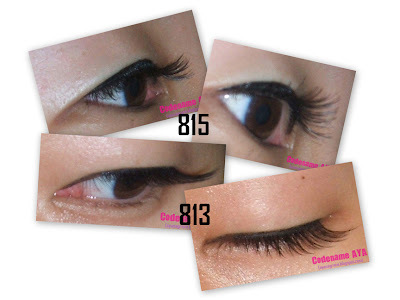 What I think: These are perfect if you want longer but still natural-looking lashes. You may have to cut the band to a length that will fit your eyes. I like that these lashes are light and not stiff. There's also a li'l criss-crossing going on there, making them look natural. Also, the length of the lashes aren't the same throughout; the middle lashes are a bit longer, making them look more natural. They're quite durable too, and the band doesn't tear easily so these can be used more than once (depending on how gentle you are in handling them, of course). What I think: These lashes are more criss-crossed than the 815 and give me full yet still natural-looking lashes. I didn't have to trim the band of this one since it already fits my eye perfectly. I like how the lashes flare out in the outer ends, making my eyes look more cat-like. 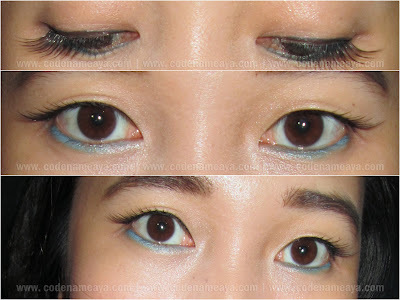 Also, since the inner lashes are shorter, they blend well with my short natural lashes. These are also quite durable. They have thicker bands than the 815 but still pretty light and don't weigh my lids down. Oh, by the way, if you're planning to order, you might as well join their contest and get a chance to win up to $20 worth of proucts! Click the pic below for more details. Wow, you had to pay a fee to collect your item? Those eyelashes look so natural on you babe. they look good on you sis, especially 813! @Popblush, sadly yeah. It was! they didn't even check the package (which I thought was the purpose of the whole post office thing). 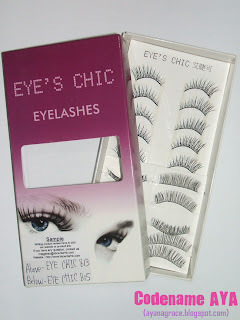 I have never tried false eyelashes because my lashes are already long and dark -- like a drag queen's. I didn't even use mascara until last year. Now, I can't live without it. So I might try false lashes someday. You never know with me. Those lashes looks pretty natural on you! oh dear! it looks sooo good on you! @Nina, will try that. Thanks! These are great - natural looking and not expensive, which can be hard to find! Look great on you.